Saving the Planet One Wrapper at a Time! On a mission to preserve the wider global environment through sustainable craft, and educate their community about recycling, comes The Junk Weavers. 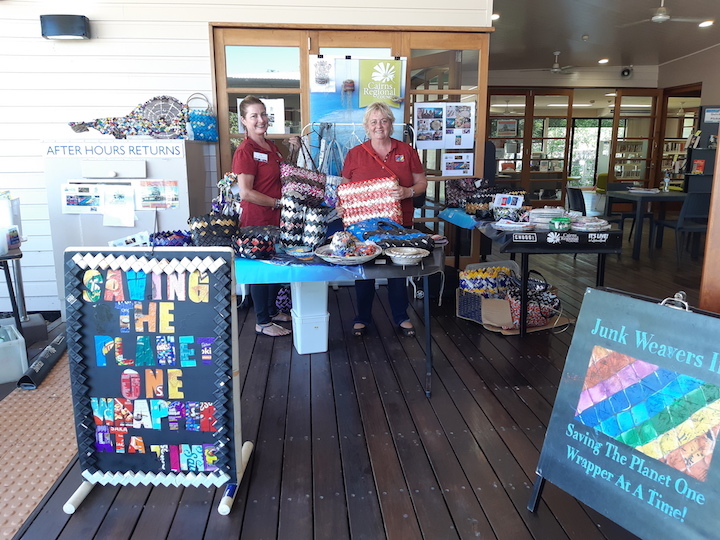 This Cairns, Queensland not-for-profit organisation promotes mass action of individual recycling efforts through craft. "Wherever we are in the world, when women recycle together, our mass action of home-based effort improves our environment," their website proudly states. I remember creating long gum wrapper chains back in the 70s, and the process appears similar for some of the weaving we're seeing in The Junk Weaver products. It's incredible that trash by way of these chains have taken new life, and I love how someone has found a way of reusing or recycling the dreaded coffee packaging (see handbag below) that can't be placed in the recycling pickup bin where I live in Canada. The Junk Weavers mission is to be a worldwide leader in teaching recycled craft. President Michelle McIntyre runs masterclasses on how to make coin purses, coffee bag bowls, flat bottoms for bags and rolled magazine/newspaper bowls. During Eco Fashion Week Australia (Perth), Junk Weavers held a workshop to share their craft with the public. 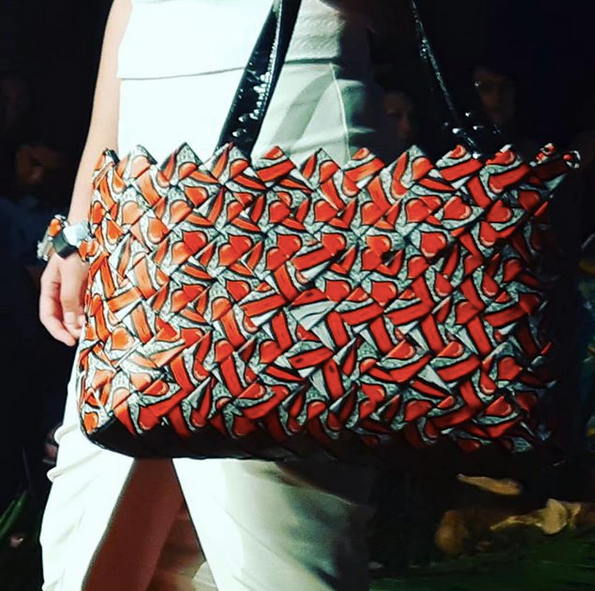 Their runway show in Port Douglas for Eco Fashion Week Australia featured handbags made from coffee packaging material (and other food packaging), as well as bracelets and earrings. Their signature piece was an entire dress made out of an Elton John concert poster from his Australia tour earlier in 2018. With a mission "to empower individuals to grow and develop themselves sustainably within their local and global environment or micro recycled craft business," let's hope their crafty skills catch on around the globe in order to reduce waste! 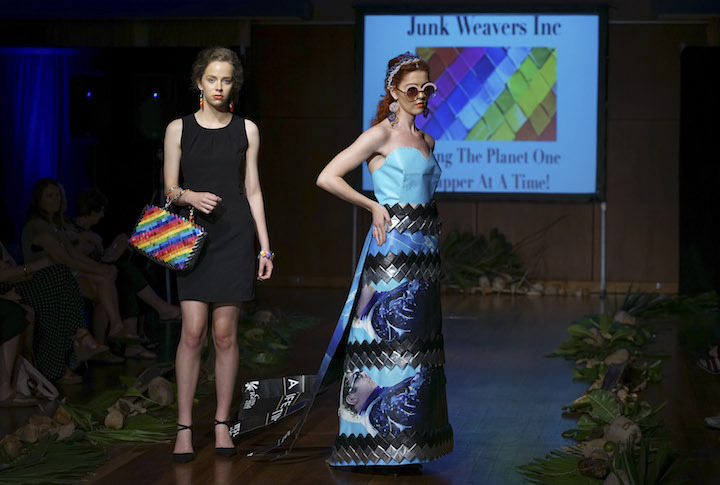 Junk Weavers will appear on the runway on closing night of Eco Fashion Week Austraia (Perth) at the Fremantle Community Bank Oval on Monday, Nov. 19. We love that EFWA holds community, sustainability, and education at its core while also promoting locally, ethically produced fashion, conservation, and sustainability education. The Bahamas Weekly is a proud sponsor of this event.